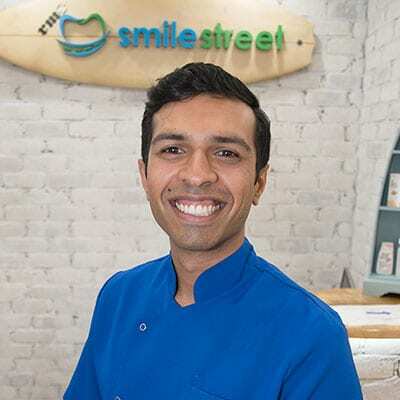 Smile Street stands above other dental practices thanks to the dedication of our close-knit team of dentists, dental assistants and oral health therapists. 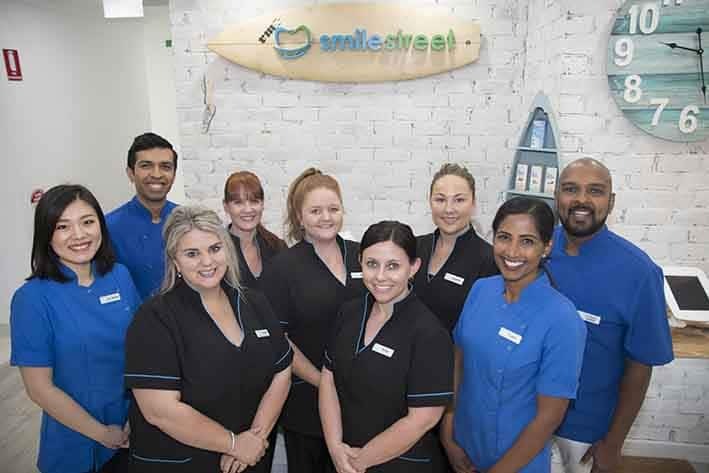 Every member of our team strives to ensure our clients receive the best possible patient care and experience when visiting our Coolangatta or Murwillumbah clinics. Phone us today to book your appointment or read more about our team below. Dr Ramesh Sivabalan enjoys all aspects of general dentistry. In particular, he gains satisfaction in introducing patients to minimally invasive dentistry and patients succeeding through it. Dr Sivabalan strongly believes that patient education is paramount to sustainable oral health. 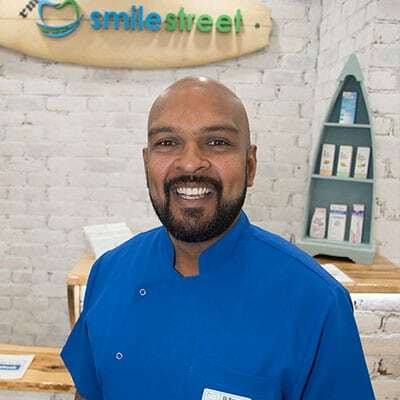 Ramesh endeavours to empower his patients through understanding and finds by doing so patients value and care for their treatment and teeth in a noticeable way. In his spare time, Dr Sivabalan enjoys spending time with his wife, three children and extended family. Where time permits, he enjoys playing golf and swimming. He is a fan of all sports, especially Rugby League (Parramatta Eels), Soccer (Western Sydney Wanderers) and Aussie Rules Football (Sydney Swans). 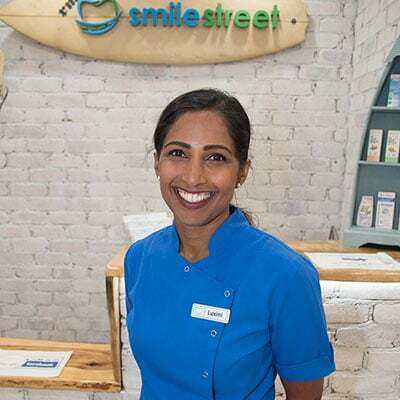 Dr Sudhagar Sivabalan graduated from the Doctor of Dental Medicine at Sydney University, having completed a Bachelor of Business at the University of Technology Sydney in 2011. 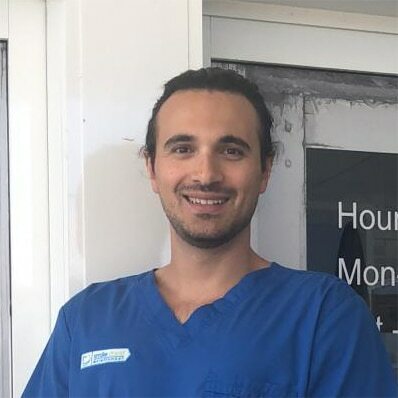 He has had extensive experience with a variety of oral care through placements at Sydney Dental Hospital (SDH), Westmead Central for Oral Health (WCOH) and Dubbo Local Health Clinic, treating both adults and children. In addition, Sudhagar was involved with research in facial profile aesthetics, allowing him to offer his patients a range of aesthetic and corrective options. He takes great pride in providing high-quality restorative dentistry and leaving a smile on patients’ faces. In his spare time, Sudhagar is actively involved in his youth group and enjoys service activities such as nursing home visits and donating blood. He has a keen interest in music, particularly in singing and playing the piano. When possible, Sudhagar enjoys travelling and exploring new horizons. Dr Stephen Zanon has recently relocated to the North Coast area with his partner, moving from Melbourne joining family located in the area. Stephen enjoys being active, outdoors and great coffee. Having graduated from La Trobe University in 2012 with a Bachelor of Biomedical Science, he then graduated from the Bachelor of Health Sciences in Dentistry/Masters of Dentistry from La Trobe University in 2018. With placements across regional and rural Victoria for 2 years, Stephen has had experience with all aspects of general dentistry and enjoys helping patients achieve a happy, healthy smile. I am a University of Sydney graduate in OHT. I have a passion for the wellbeing and health of the wider community. I want to be an oral health therapist who is present within my community and to promote and educate in oral health awareness. I’m a keen advocate for prevention and work within this philosophy. Aside from my career, my love and joy is derived from spending time with my beautiful family, including my husband, three gorgeous children and our cavoodle. I foresee my future to be enriched with further education in the oral health field, to continue to expand my knowledge and understanding such that I can provide quality care for the community. I am a qualified dental assistant with over 8 years’ experience. During my dental career I have completed my Certificate III in Dental Assisting, my Certificate IV in Dental Assisting (Radiography) and my Diploma in Practice Management. I believe that continued education is important for the whole dental team and is paramount in ensuring that we provide the best possible care to our patients. I am very passionate about providing a welcoming environment and pleasant experience for our patients. On weekends I enjoy spending my time at the beach with husband and three children. I have been in the dental industry since the age of 17. I started out as a dental assistant and over the years have gained the knowledge and experience that has led me to fill practice manager roles. 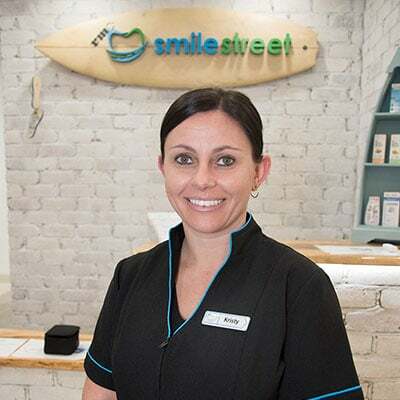 I am very excited to be a part of the Smile Street Murwillumbah team. I have previous experience in the dental profession and in the past have completed my Certificate III in Dental Assisting. 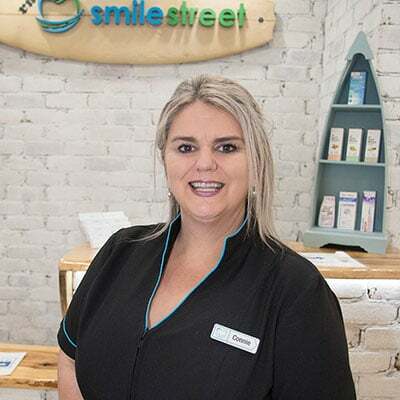 I am currently studying my Certificate IV in Dental Assisting (Radiography) and I am excited to utilise my new skills within the Smile Street team. When not working I have a keen interest in training for running events. I am also an animal lover and am involved with the Golden Retriever Rescue Organisation. 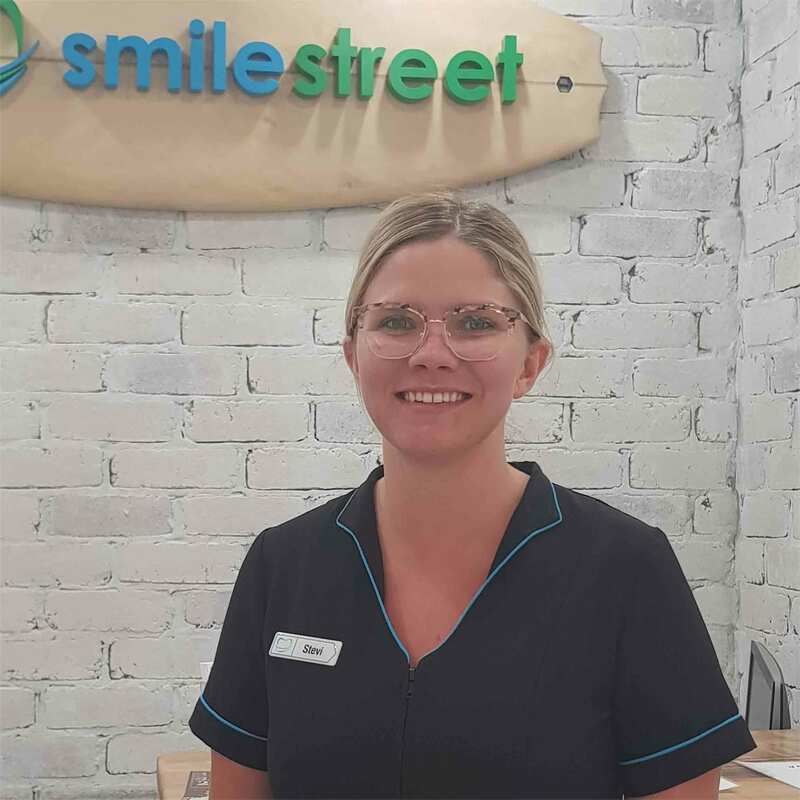 I am a qualified dental assistant with 1.5 years’ experience, across all areas of dental, working as part of the Smile Street team. I am a bubbly, happy person who enjoys helping others. I am interested in health and fitness and enjoy spending my weekends at the beach with family. A qualified Dental Assistant with over 2 years experience. Having recently completed my Certificate III in Dental Assisting and commencing her Certificate IV in Dental Assisting (Radiography) in the near future. Stevi enjoys camping and spending time at the beach.